You may be asked for personal information anytime you are in contact with UIPL directly or indirectly through a third party. The personal information we collect helps us to keep you posted about UIPL’s latest product announcements, offers, promotions and events. 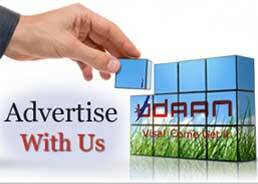 It also allows us to improve our services, content and advertising. If you wish to unsubscribe, you can choose to do so. We may collection information regarding customer activities on various portals of UIPL. This aggregated information is used in research, analysis, improve and monitor products and various promotional schemes. It may be shared in aggregated, non personal form with third party to enhance customer experience, products offering or services. Cookies are a feature of web browser software that allows web servers to temporarily store information within your browser, which in turn allows us to recognize the computer used to access UIPL. Most Web browsers automatically accept cookies. Of course, by changing the options on your web browser or using certain software programs, you can control and delete how and whether cookies will be accepted by your browser. You can also edit your browser options to choose not to receive cookies in future. In order to help us maintain and improve our service to you UIPL website, online services, applications, email messages, and advertisements may use 'cookies' to collect information about your use of the website. Cookies may also be used to carry out transactions and disabling them may affect the functionality of this website. We use this information to understand and analyze trends, to administer the site, to learn about user behaviour on the site, and to gather demographic information about our user base as a whole. UIPL may use this information in our marketing and advertising services. In some of our email messages, we use a “click-through URL” linked to content on the UIPL website. When customers click one of these URLs, they pass through a separate web server before arriving at the destination page on our website. We track this click-through data to help us determine interest in particular topics and measure the effectiveness of our customer communications. If you prefer not to be tracked in this way, you should not click text or graphic links in the email messages. By using the Account Access service in UIPL's websites, the User authorizes UIPL and its agents to access third party sites, including that of Banks and other payment gateways, designated by them or on their behalf for retrieving requested information. UIPL may share personal information as required to fulfil the service offering and/or to make booking, reservation, blocking and any such activity initiated by user. The User is fully responsible for all activities that occur while using their password or account. It is the duty of the User to notify UIPL immediately in writing of any unauthorized use of their password or account or any other breach of security. UIPL will not be liable for any loss that may be incurred by the User as a result of unauthorized use of his password or account, either with or without his knowledge. The User shall not use anyone else's password at any timeThe User is fully responsible for all activities that occur while using their password or account. It is the duty of the User to notify UIPL immediately in writing of any unauthorized use of their password or account or any other breach of security. UIPL will not be liable for any loss that may be incurred by the User as a result of unauthorized use of his password or account, either with or without his knowledge. The User shall not use anyone else's password at any time. UIPL may share personal information with companies who provide services such as information processing, extending credit, fulfilling customer orders, delivering products to you, managing and enhancing customer data, providing customer service, assessing your interest in our products and services, and conducting customer research or satisfaction surveys. These companies are obligated to protect your information. UIPL may disclose Personal Information if required to do so by law or in the good-faith belief that such action is necessary to (a) conform to the edicts of the law or comply with legal process served on UIPL or the site; (b) protect and defend the rights or property of UIPL , the site or the users of UIPL , and (c) act under exigent circumstances to protect the personal safety of users of UIPL , UIPL, the site or the public. While UIPL employs necessary security measures, it is limited by technology used for various processes by UIPL and/or by its partners. UIPL is not in any way responsible for any data loss occurring from malicious attempts to compromise its or partners/suppliers systems. Customer browsing/using/transacting on the site agrees with such limitation and exposure. You can help ensure that your contact information and preferences are accurate, complete, and up to date by logging in to your account. For other personal information, we make good faith efforts to provide you with access so you can request that we correct the data if it is inaccurate or delete the data if UIPL is not required to retain it by law or for legitimate business purposes. We may decline to process requests that are unreasonably repetitive, require disproportionate technical effort, jeopardize the privacy of others, are extremely impractical, or for which access is not otherwise required by local law. Access, correction, or deletion requests can be made by sending an Email to the address provided in the end. UIPL, its contractors, agents, owners, and employees are not responsible for the content or the privacy policies of other web sites to which this site may link to or use offers from. Please take time to learn about them as well. If at any time you believe that UIPL has not adhered to above principles/policy, please notify us by e-mail at udaan@udaanindia.com and we will use all commercially reasonable efforts to promptly determine and correct the problem.